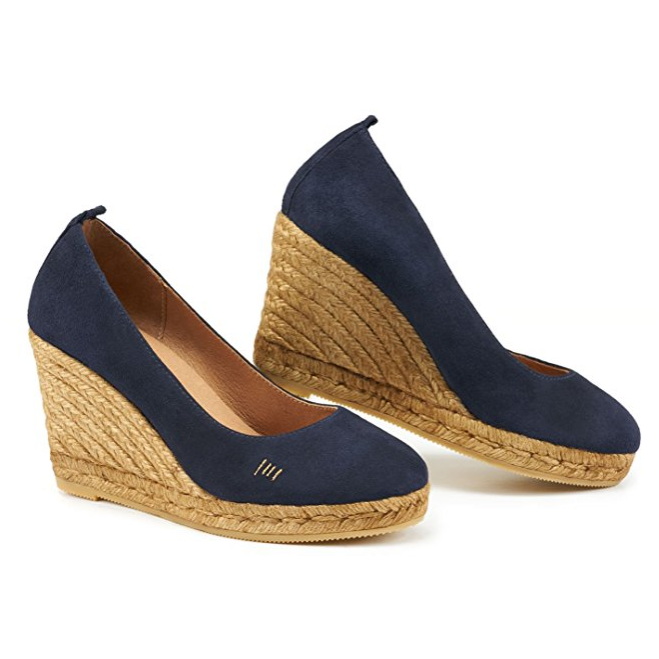 The navy suede 'Corkswoon' wedges by Stuart Weizmann made their debut in July 2012 when the Olympic Torch relay passed via Buckingham Palace. The Duchess of Cambridge wore them often throughout the London Olympics and later again on the Jubilee Tour of South-East Asia. 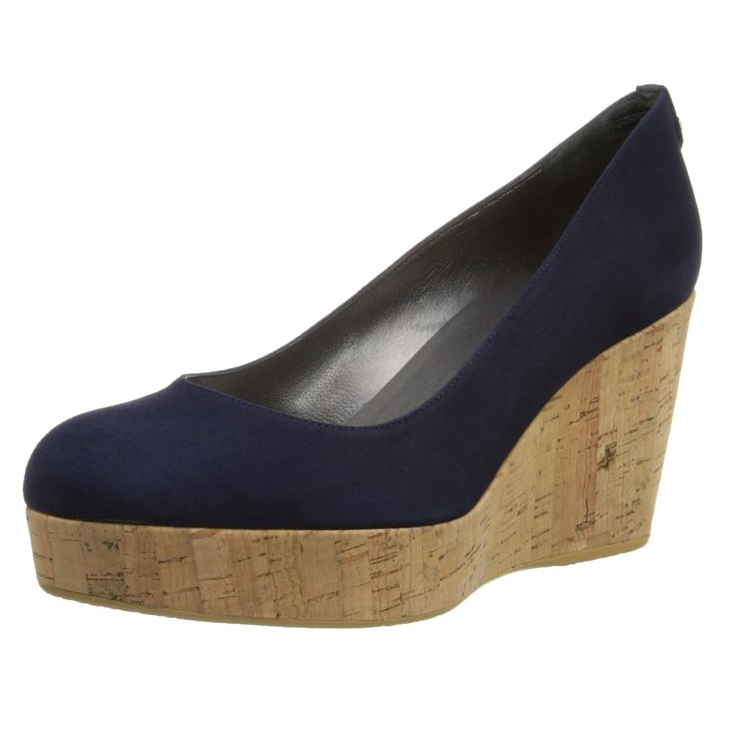 The Corkswoon's feature an ultra-high 4 1/2" platform cork wedge heel with 1 1/4" platform. Kate wears them in navy suede. 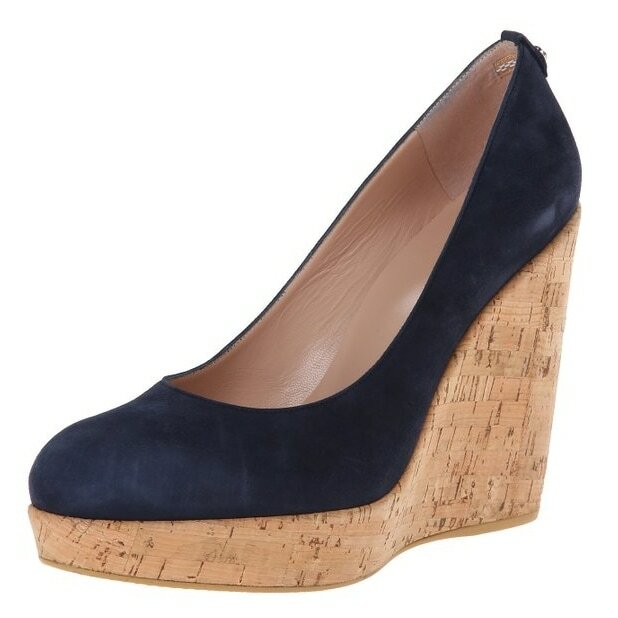 STYLE FILE: Stuart Weitzman Corkswoon wedges as seen on Kate Middleton, The Duchess of Cambridge.